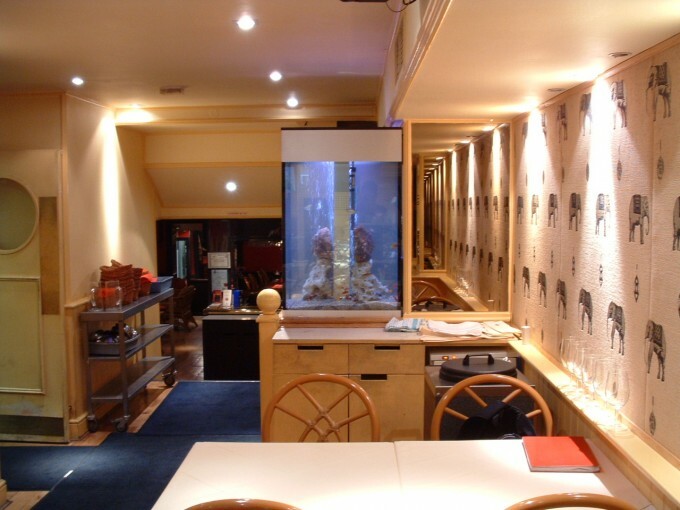 This restaurant aquarium was installed in Knightsbridge in a restaurant that had limited space but where the owner wanted to add something different. To save in space it is tall but relatively short in length. The central, mirrored column hides the pipework and wiring that run up from the cupboard under the aquarium. The aquarium has been stocked with a number of small community tropical fish. Aquarium maintenance is carried out monthly.